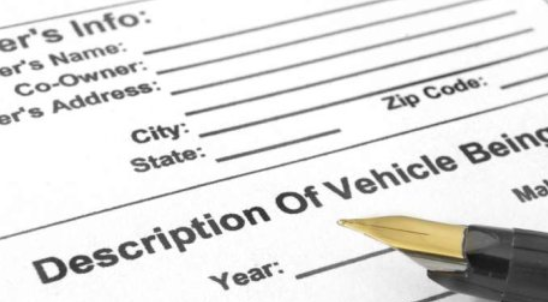 When buying a car in Pennsylvania, you must handle some paperwork for registration and title application. If you buy a car from a dealer, they will handle the necessary paperwork on your behalf. You must obtain a car’s title from the seller in order to register your car with the Pennsylvania Department of Transportation (PennDOT). Continue reading this article to get more information about the paperwork required when buying a car in Pennsylvania. The signature and name of the seller. The title must be signed in the presence of Pennsylvania DOT agent. If the title is missing, ask the seller to apply for a duplicate copy and sign it over to you. If there is no valid inspection sticker on a newly purchased vehicle, you have to take your vehicle for inspection within 10 days from the date of purchase. The certificate of title certificate. Proof of identity (Pennsylvania driver’s license). Registration and title application forms: Form MV-1 (Application for Certificate of Title). Form MV-4ST (Application for Registration). You can also apply for a temporary registration which is valid for 90 days. $50 title transfer or new title fee. $73 if the title has a lien. Sales tax which is 6% of the purchase price (8% of purchase price for City of Philadelphia residents and 7% of purchase price for Allegheny County residents). This report can help you verify information provided by the seller about the vehicle that you are buying. Vehicle frauds come in many forms, such as odometer rollback, forged documents or misleading information from the seller. If you suspect any fraud or are a victim of vehicle fraud, report the matter immediately to the Pennsylvania DOT. You can do so by filling and submitting Form RMO-1VR (Fraudulent Misuse of Motor Vehicle Credentials) or by calling Pennsylvania DOT at (800) 932-4600.